Make sure we don’t end up in the “junk pile”. In preparation for receiving your medical record, it’s important that we can communicate with you by email. Unfortunately, many important emails can wind up in your “junk mail” if you don’t take the necessary precautions in advance. For Mobile devices, watch this video. For Gmail, watch this video. For Apple Mail, watch this video. For Yahoo Mail users, watch this video. 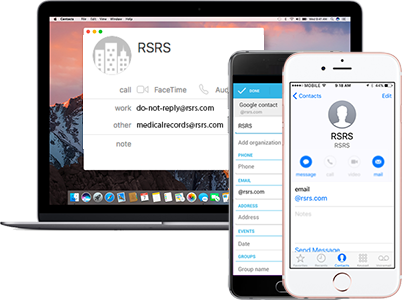 By adding the @rsrs.com email address to your contacts, you will improve your chances of receiving emails from RSRS about your medical record.